Many cat owners simply adjust their cat’s environment to accommodate for unwanted behaviors. Cats are more likely to communicate with their owners with special sounds and behaviors, instead of following commands. 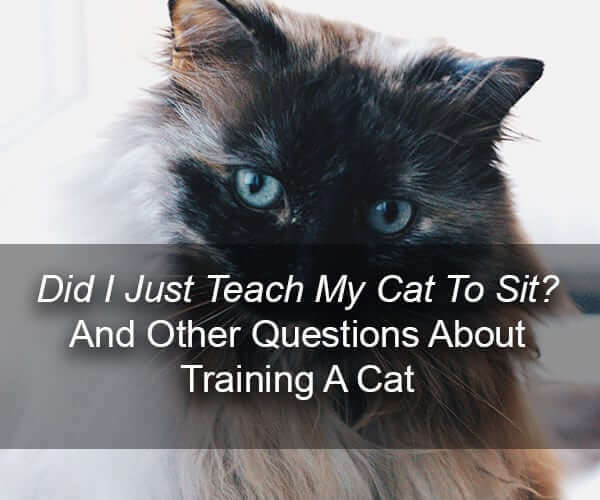 However, that doesn’t mean your cat is not trained. At Bowman Road Animal Clinic, a Little Rock vet clinic, we know that no one knows your furry feline friend more than you do. We recommend tailoring any training advice to accommodate their unique personality as you see fit. Here are a few questions we can answer about your cat’s behavior. What did I do to get my cat to behave so well? What we consider a “well-behaved” cat is usually just a cat who is understood by their owner. For example, they are friendly to guests because they know they have a safe space they can escape to at any moment. I’ve never had a furniture problem with my cat. Is my cat just different? Not really. Cats need a place to scratch. If your cat is not destroying the upholstery on your couch and armchairs — like they are known for doing, it is likely because you gave them a better place to scratch. A good scratching post is sturdy, three feet in height, and placed next to any would-be scratchable furniture. I’ve spent time preparing my home for all sorts of cat mischief. Did I waste my time? Not at all. In fact, when owners go the extra mile to make their new cat feel safe, the cat is less likely to develop common unwanted behaviors — like destroying pottery. A smart cat owner knows the risks and rewards of bringing a cat into their home. They prepare their furniture and hide their favorite shoes. Protective wall coverings and mats are placed all around the litter box. Sometimes, for good measure, they secure their indoor shrubbery — or remove it all together. To keep the new kitten occupied, they provide stimulating toys and safe areas to explore. By doing this you’ve created an environment where your cat feels safe and calm. They are much less likely to act out. Did I just teach my cat to sit? Yes! Cats can learn tricks. They understand positive reinforcement just as well as dogs do. They are less eager to please, but just as eager to get a tasty treat. We could get locked in a “who taught who what” discussion that would go on all day. What is important is that you and your cat are peacefully coexisting. Your cat will have their space, stimulation, and nutritional needs met. You will have your upholstery, plants, glassware, potpourri, black garments, yogurt, couch space, bed, electronic power cords, reasonable sleeping hours, candles, books, desk space, and warm laptop. If you notice drastic changes in your cat’s behaviors, it could be a sign that they are not feeling well. Schedule an appointment with a Little Rock vet clinic like Bowman Road Animal Clinic. We would love to meet your feline friend and help them back to feeling healthy and happy.